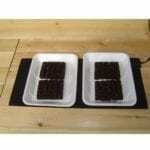 For the best seedlings, provide 16 hours of direct light daily. Larger sizes available: Tabletop and Hanging. Checkout our Seed Starting Course! 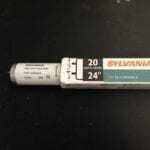 *Additional shipping: Zone A add $2.95, Zone B add $5.95. Please read our shipping policy here. New Model! 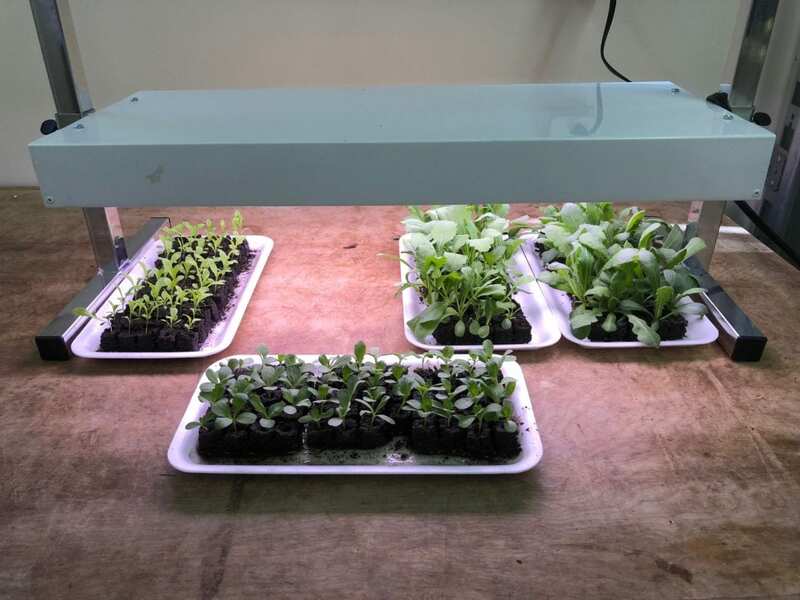 For the best seedlings, provide 16 hours of direct light daily. 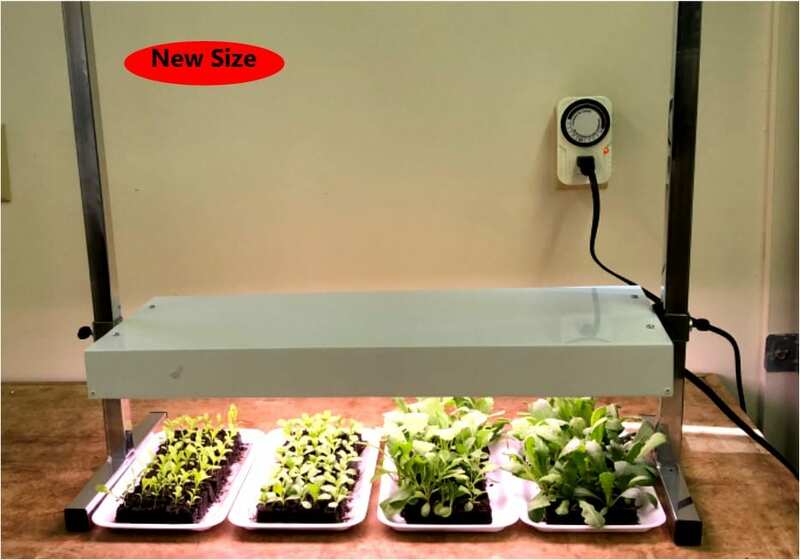 Our grow light uses only 12” x 26” of counter top space, yet supports 240 small blocked plants until they go to the garden. Fixture height is easy to adjust to the needs of your seedlings from 2” to 16”. Recommended to use with our grounded timer. Additional shipping: Zone A add $2.95, Zone B add $5.95. Please read our shipping policy here. Here is what customers are saying about how soil blocking has changed their seed starting experience.